THE IRON HORSE DELIVERS THE TOOLS OF WAR. 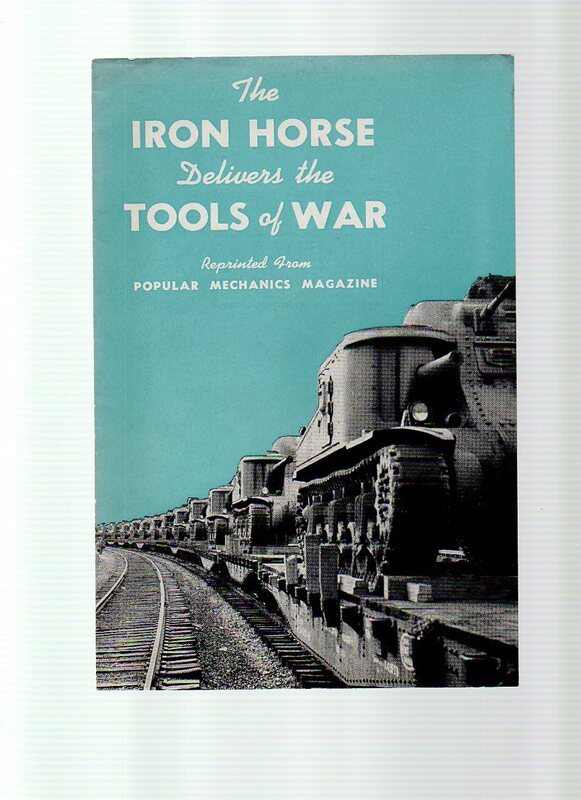 THE IRON HORSE DELIVERS THE TOOLS OF WAR.... produced in the USA around 1942 0r 43. , bklt has 12 pages of photos and script plus inside rear cover. 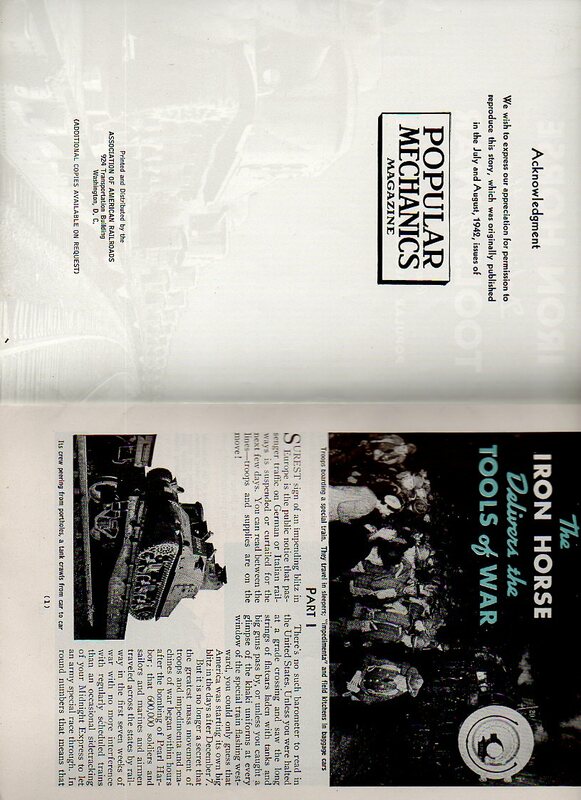 It is a combination of 2 original articles published in the July and August 1942 editions of Popular Mechanics.